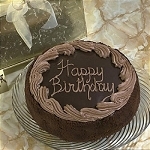 Always a great seller and a big hit with any birthday age.. 40, 50, 60, 70, 80 and 90. We have sent this gift to someone that was 95! 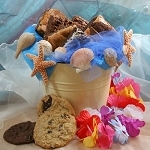 Make sure your recipient enjoys your humor enough to forgive you when sending this unique Coffin Cookie Bouquet. Order now and say "Happy Birthday" from GiftProse with a cookie bouquet gift coffin.Cookies included; Semi Sweet Chocolate Chip, Milk Chocolate Chip, Oatmeal Raisin, Peanut Butter. We send a variety of all 4 flavors. (substitutions may occur) Each cookie is approximately 1/4 lb., individually wrapped and labeled with the ingredients on the back. 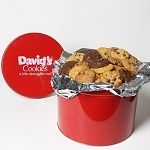 No artificial flavors or colors in any of our cookies. Always a great seller and a big hit with any birthday age.. 40, 50, 60, 70, 80 and 90. We have sent this gift to someone that was 95! Make sure your recipient enjoys your humor enough to forgive you when sending this unique Coffin Cookie Bouquet. 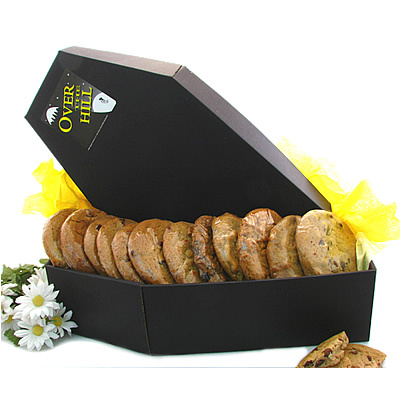 Order now and say "Happy Birthday" from GiftProse with a cookie bouquet gift coffin. 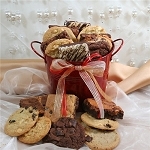 Cookies included; Semi Sweet Chocolate Chip, Milk Chocolate Chip, Oatmeal Raisin, Peanut Butter. We send a variety of all 4 flavors. 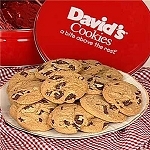 (substitutions may occur) Each cookie is approximately 1/4 lb., individually wrapped and labeled with the ingredients on the back. 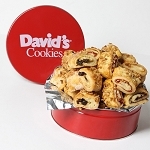 No artificial flavors or colors in any of our cookies. *SHIPPING INFORMATION* ORDERS RECEIVED AFTER 1:00 PM EST WILL BE SHIPPED THE FOLLOWING BUSINESS DAY. Orders do not ship on major holidays or weekends. 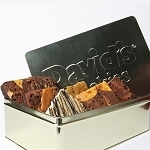 We recommend shipping to a business address wherever possible to insure timely delivery. 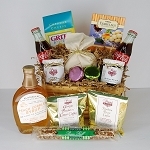 PERISHABLE GIFT SHIPPING: We recommend shipping 2-Day or Overnight for baskets with perishable items (desserts, fruit, cheese, chocolate, etc. ), 2-day shipping will be shipped Monday-Wednesday (arrival Tuesday-Friday). Overnight shipping will be shipped Monday-Thursday (arrival Tuesday-Friday). We can only guarantee freshness if these guidelines are followed.